A 29-year-old Iranian artist and women’s rights activist is facing up to two years in prison, plus corporal punishment, for a cartoon she drew last year criticizing a bill that would outlaw some forms of birth control. 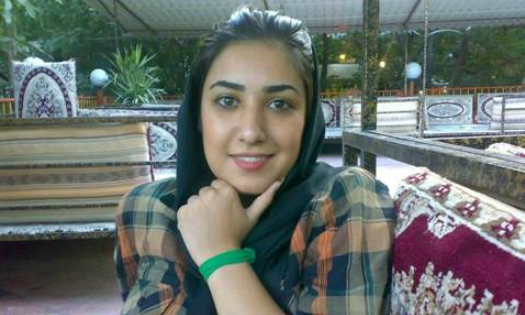 Atena Farghadani’s trial finished in just one day this week, but the judge said he may take “anywhere between a week and 20 days” to render a verdict. As Iran’s parliament last August considered a bill to ban voluntary sterilization procedures such as vasectomies and tubal ligations, Farghadani mocked the politicians with a cartoon depicting them as apes and goats. She was arrested on charges of spreading propaganda against the system, insulting members of parliament through paintings, and insulting the Supreme Leader. Farghadani was already well-known to the government for her fearless advocacy on behalf of political prisoners and the families of protesters killed after the country’s presidential election in 2009. 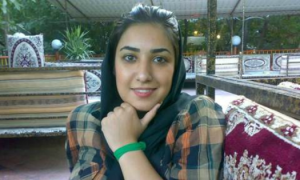 Farghadani was initially released from prison after two months, including two weeks in solitary confinement without access to a lawyer, but she was rearrested in January of this year after she posted a video on YouTube describing beatings, strip searches, and threats from guards. Upon returning to prison this year she went on hunger strike to protest poor conditions, suffering a heart attack after three weeks. She is now being held in a different detention center.